The textile manufacturing industry is one of Mexico’s fastest growing manufacturing sectors and a best-prospect industry sector for U.S. exporters. With ties to Mexico’s surging automotive manufacturing industry, the textile manufacturing industry has seen new life. Increasing wages in China have also encouraged large companies to “re-shore” into Mexico. Mexico is the United States’ largest market for textiles (technical textiles) and apparel. Mexico is the largest market for U.S. technical textiles: non-wovens, medical, spec. .and ind., and protective. 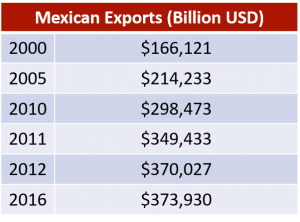 U.S. exports of textiles and apparel to Mexico accounted for approx. 27% of U.S. textile exports in 2015. The technical textile industry is experiencing solid growth caused by domestic demand. Mexico has been identified as an emerging market of non-woven textiles. The automotive sector demand for industrial fabrics has helped to bolster the textile industry. Textile and apparel exports to Mexico increased by 5% to $6.5 billion USD in 2015. As per the Mexican National Institute of Statistics and Geography (INEGI), there was an 11.3 percent growth in the textile industry activity index between August 2017 to August 2018 – this excluded the clothing industry. NAFTA regulations have reduced tariffs on textile imports into Mexico from the United States. An estimated $2.54 billion dollars worth of textile and apparel products produced in Mexico will be imported into the United States in 2018. NAFTA regulations allow U.S. companies to export raw materials into Mexico at a cost-effective price. According to the Mexican Social Security Institute (IMSS), 2018 has seen a 2.3% employment increase within the textile industry, which has resulted in Mexico having a total of 467,834 available textile workers. 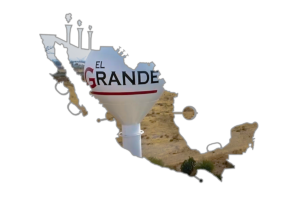 El Bajio region saw a 5% industry growth rate in 2017. The production value of the Bajio manufacturing industry grew by 17.4% in the first six-month period of 2017 in comparison to 2016. Textile and apparel product is the fourth largest industry in Mexico. *Original data in USD for 2016, 2017, and annualized 2018 only. **Based on annualized July 2017 through June 2018 figures. Enhancing and promoting its different value chains which are more closely controlled than Asian markets. Investing in design, technology, and innovation to enhance the industry. Effectively utilizing free trade agreements especially in regards to the U.S.
Mexico produces and develops protective textile products that meet all required U.S. standards. Regional universities graduating 5000 engineering/technical students per year. 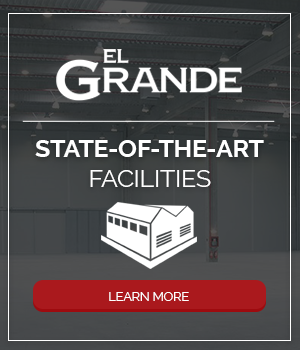 El Grande Group can help your textile manufacturing operations grow in Mexico! Get started with a Free Operations Cost Estimate.